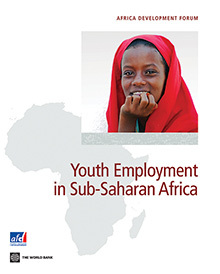 Just under two years ago, I, along with a team from across the World Bank, co-authored a report, Youth Employment in Sub-Saharan Africa, which tackled the growing gap between the aspirations of African youth and the realities of the job markets and what governments should do about it. With an expected 11 million young Africans entering the labor market every year well into the next decade, the findings and main messages of the report remain relevant. Boosting youth employment is not a one-dimensional task that can be solved, for example, by merely increasing training opportunities—a frequently touted response. The key is to ensure that young people—and other workers—can earn a decent income in whatever work they do. Young people need strong foundational skills—human capital—to bring to their jobs; farm and business owners, entrepreneurs and investors need a conducive environment to create more productive opportunities. Governments must address the quality of basic education and remove obstacles that hinder progress in agriculture, household enterprises, and manufacturing. This is partly because poverty and vulnerability are typically measured with the household as the basic unit of observation. Potentially disadvantaged individuals such as remarried widows, young or elderly current widows, and their children are then largely hidden from view in standard data sources. In a background study to the latest World Bank Group Africa poverty report, Poverty in a Rising Africa, we mined Africa’s Demographic and Health Surveys to dig deeper into these issues. The findings are telling.